In this week’s collection of cool web findings, we have a bunch of tutorials for both Illustrator and Photoshop, comprising of icons, lighting effects illustrations and web interface elements. To add some variety to the mix, I’ve also thrown in a link to new social site that seems to be exploding onto the scene. 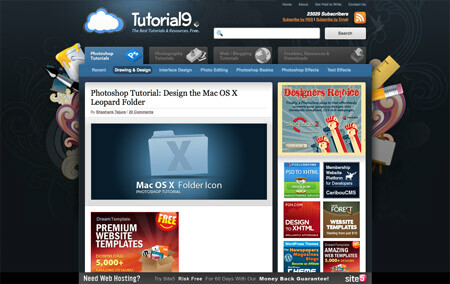 Learn how to design a great looking Mac OSX Leopard folder icon from this article from Tutorial9. Lighting effects are always a popular ingredient in digital illustrations. 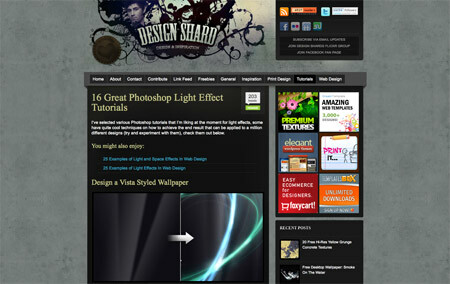 Check out this roundup of great Photoshop lighting effect tutorials from over at Design Shard. Good knowledge of Photoshop is crucial for creating high quality website designs. 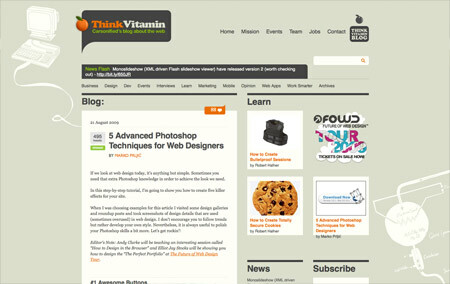 Think Vitamin have this collection of tutorials explaining how to create the most popular of interface elements. Follow this detailed tutorial over at GoMediaZine to create a three dimensional typography illustration using a combination of Photoshop and Illustrator. DailyBooth seems to be exploding onto the scene lately. 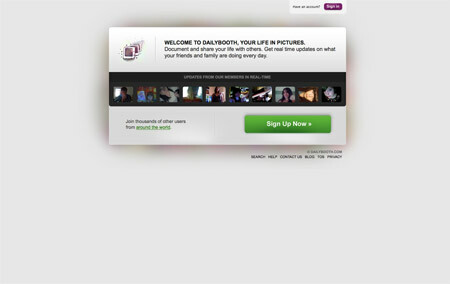 It’s a social website where users upload a photo of themselves daily, allowing great personal connections. I bet there’s a bunch of you thinking ‘What’s the point? / Why would I want to do that?’ – You probably said the same about Twitter. Anyway, I’m enjoying giving it a whirl. If anyone else is a user hook me up at Dailybooth.com/chrisspooner. Great set of sites Chris, thanks for sharing them. Great information. Thanks for the list. Thanks for the tutorials. Those were very helpful.